Planting, growing, and caring for daisies is fairly easy, and in this post we’re going to show you how to plant daisies! 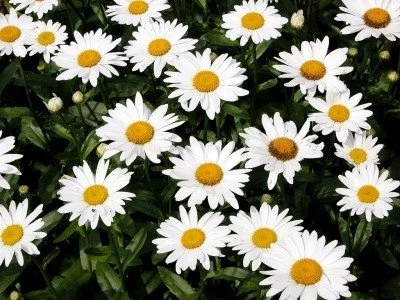 More specifically, we will focus on shasta daisies, which are perennials that look similar to the roadside daisies you may see, but have larger and more robust blooms! Shasta daisies bloom in clumps from 2-3 feet tall and about 1-2 feet wide. These varieties have white daisy petals, yellow disk florets, and dark, glossy leaves. 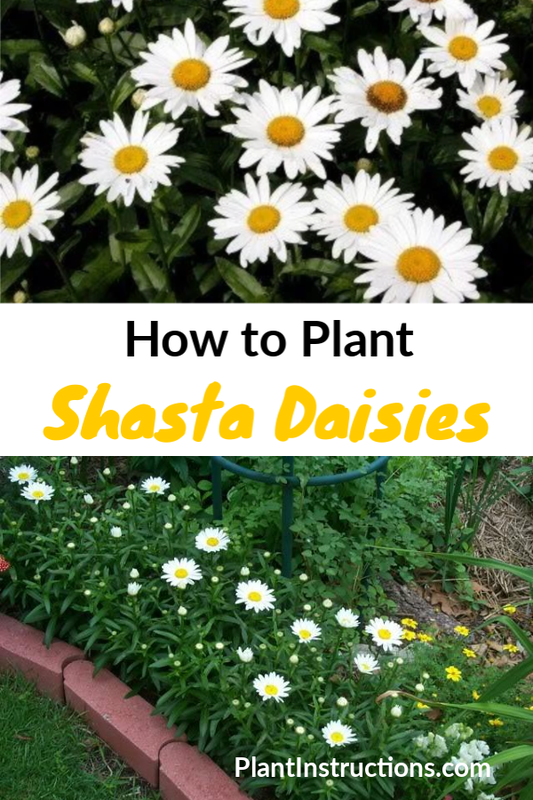 The reason why people love growing shasta daisies is because they bloom like clockwork every spring or summer and do so until the fall! Plus, they’re amazing for cuttings and are never invasive! Choose moderately fertile, moist, and well draining soil. If planting directly in the ground, choose a site with full sun. Please keep in mind that if you’re sowing directly into the garden, your daisies will only bloom the next spring! Instead, start seeds in pots in autumn or spring and divide in early spring or late summer. Loosen the soil to a depth of 12 to 15 inches, and mix in a 2-4 inch layer of compost. Space each plant 1-2 feet apart and start by digging a hole that’s twice the diameter of the container. The root ball should be leveled with the soil surface. Fill around with soil and tamp down to firm the soil. If rainfall is less than 1 inch per week, daisies must be watered. After the first frost, cut the stems back to about an inch or two above soil line. In the spring, add compost and mulch to help retain moisture and control weeds. Every 3-4 years, divide the daisies in early spring or summer. So now that you know how to plant daisies, it’s time to roll up your sleeves and get to planting! How to Plant Daisies was last modified: February 9th, 2019 by Aniela M.